We have had you the courier, technician or those employed in the service professions in mind throughout the whole development phase of this series. You will have workwear that gives freedom of movement and can withstand a little bit of everything and still look presentable. MASCOT® Frontline gives you this and more. 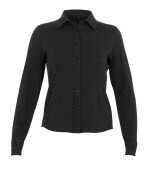 You get workwear that fits to the job and looks great at the same time. Soft yet durable and with the choice to mix colours and styles.